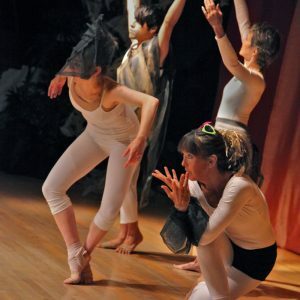 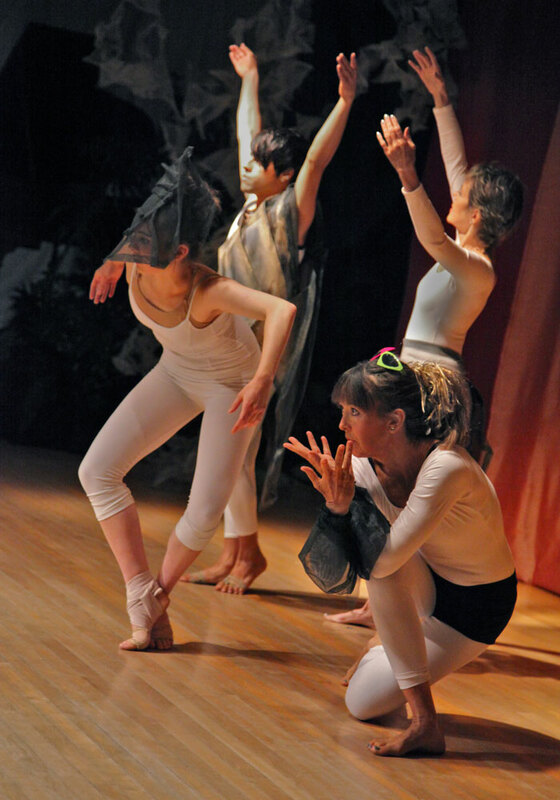 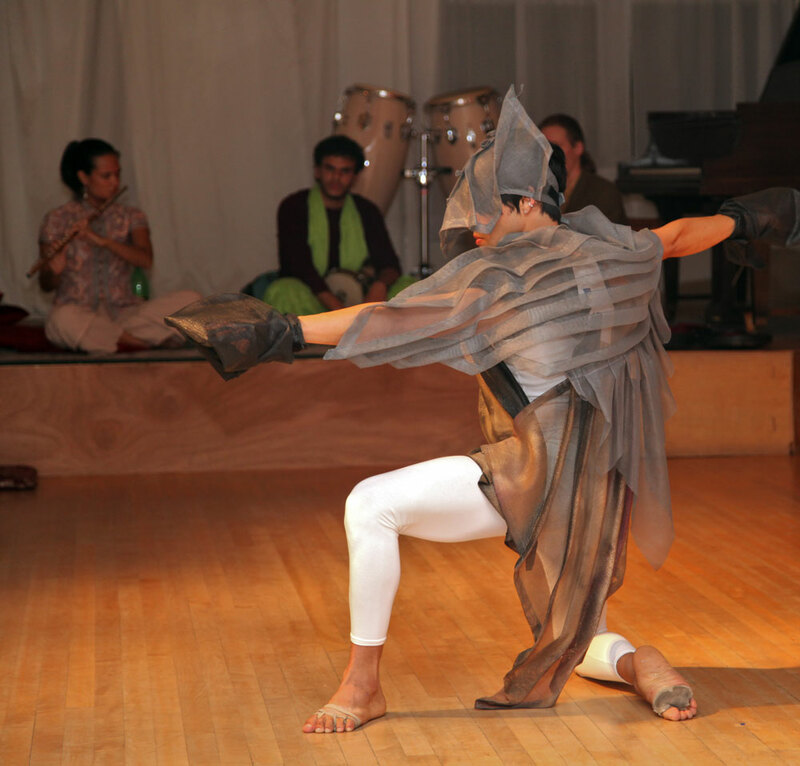 The costumes were designed to be a major element of the performance, with the dancers improvising to music supplied by the audience. 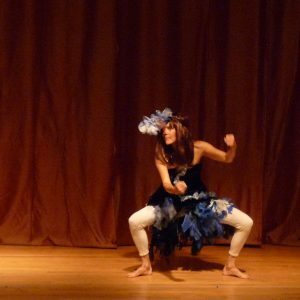 Dancers Chrissy Corazza, Meret Giacomini, Wendy Stegall and Elee Torres, each with very different dance backgrounds, interacted with the art and artwear as part of their improv. 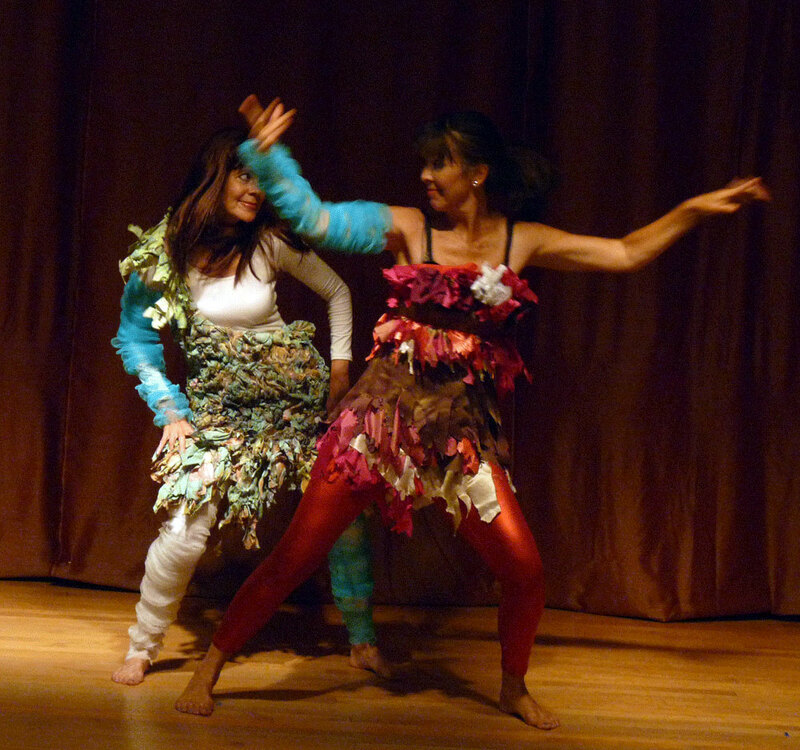 Presented at Morning Star Studio, Fairfield, Iowa. 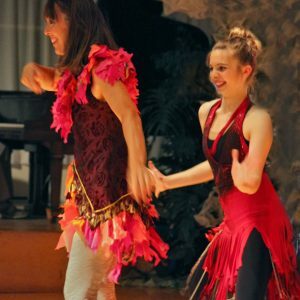 Creation of the costumes was supported in part by funding from the Iowa Arts Council. 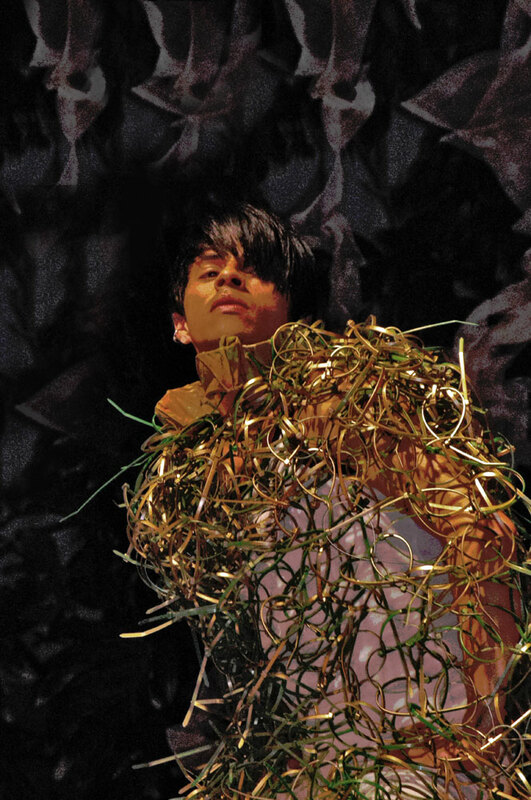 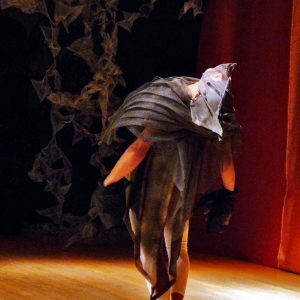 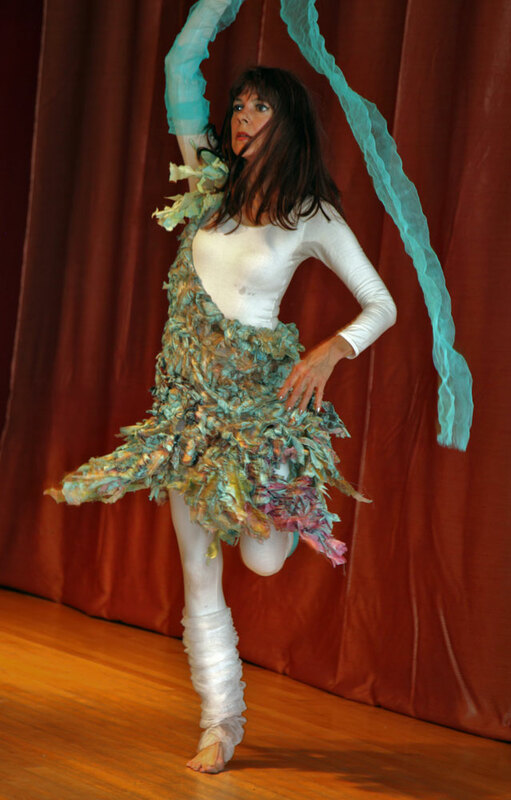 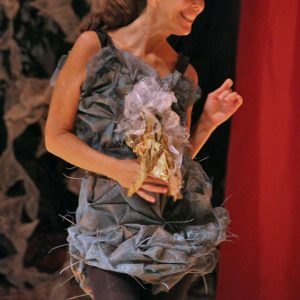 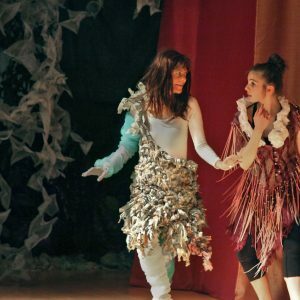 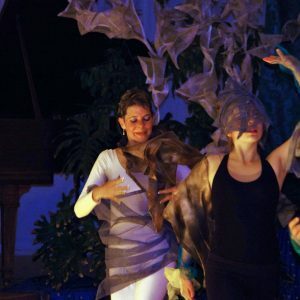 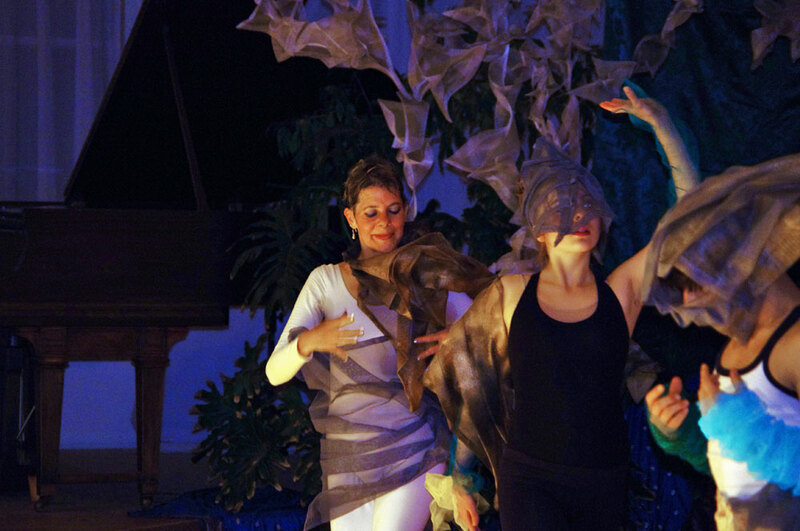 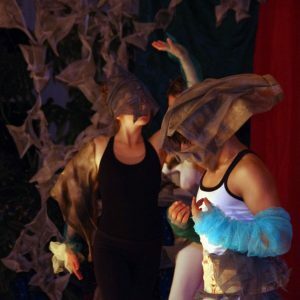 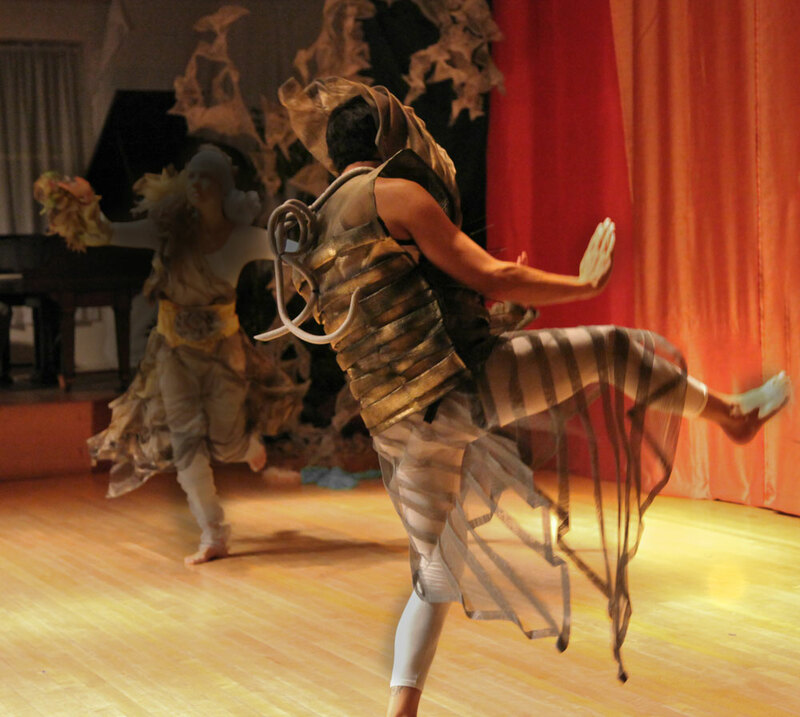 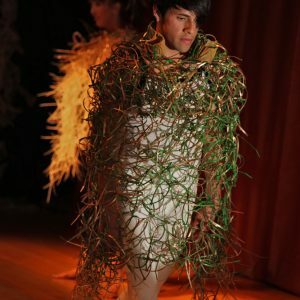 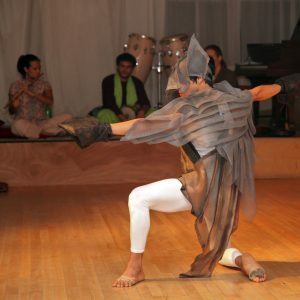 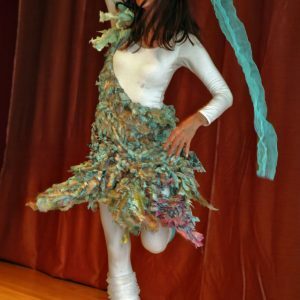 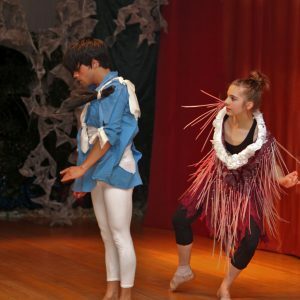 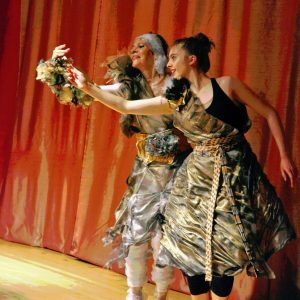 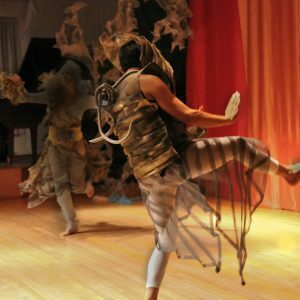 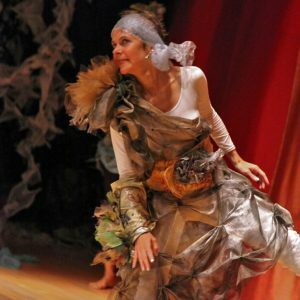 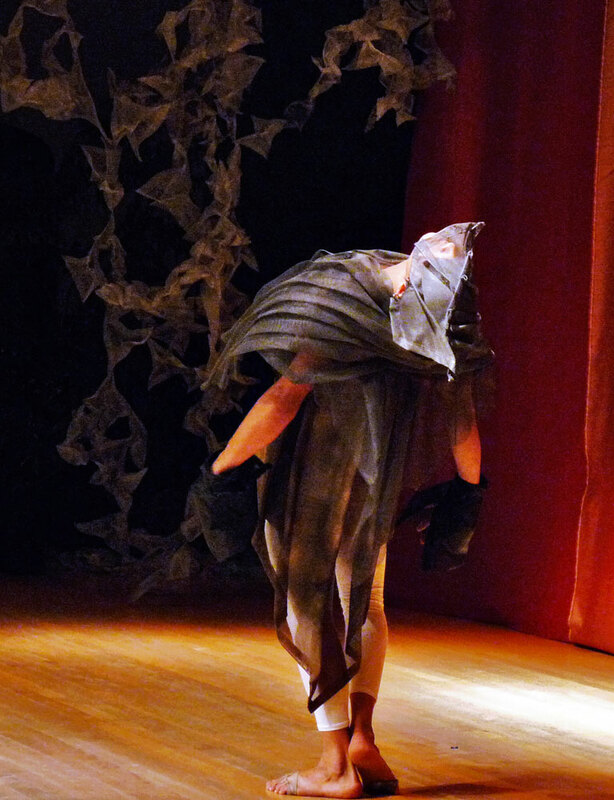 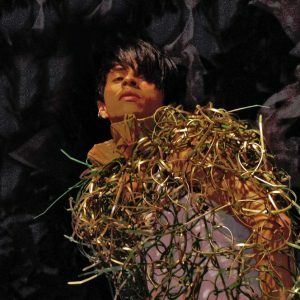 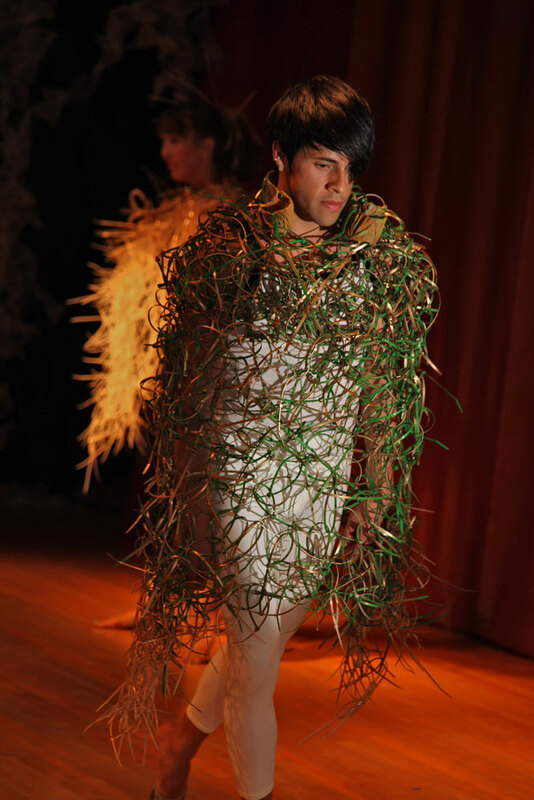 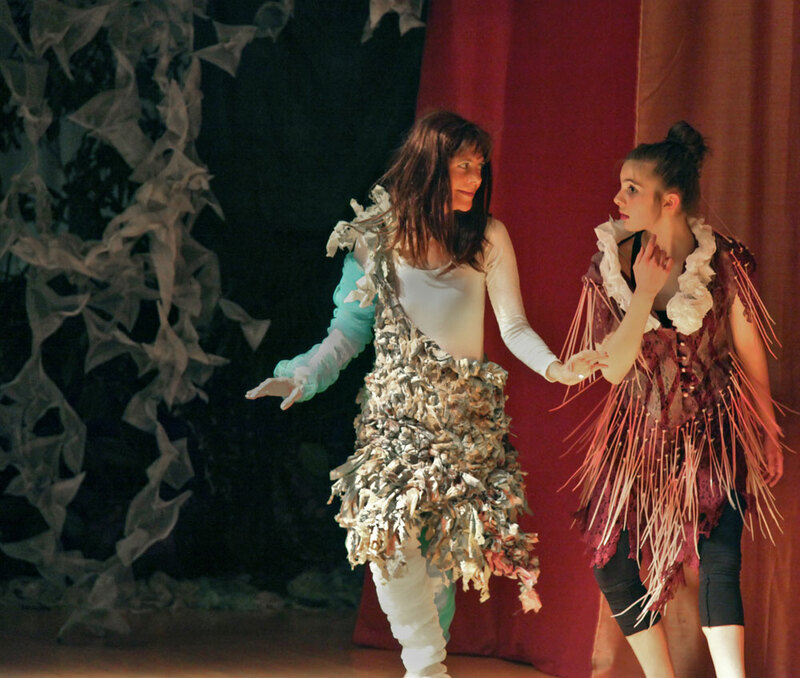 Materials: Costumes for this performance were constructed from recycled or re-purposed materials, including window screen, cable (zip) ties, plastic bags and restructured thrift store garments.